According to ComScore to estimates, eCommerce will generate about $340 Billion in 2016 compared to $ 231 billion in 2012 in the United States alone and yet it is a very small percentage of overall retail sales. With the multibillion-dollar expansion of eCommerce & Mobile commerce, many small businesses have shown interest in having eCooomerce store for their business as well. As a small business owner it is really important to understand latest industry trends that is disrupting. According to Pew Research center, 72% of American Adults now own a smartphone, up from 35% in 2011. Many of these smartphone users access information about your company, products, services, reviews etc. online. If they find it interesting then they would like to acquire your product from your website itself instead of calling you on phone or visiting the store. Starting an online business is very easy and hassle free compared to offline business. 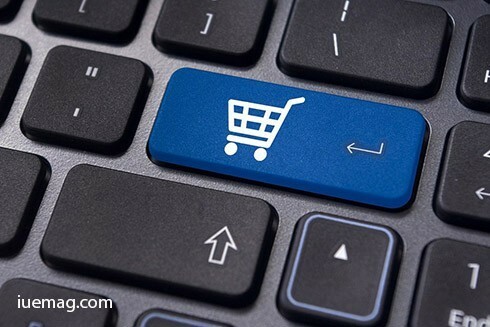 Once your online store is fully functional it is easier to scale your business. After all , there are a lot of factors you need to take into the consideration to make your online store a success. I want to talk about the things that you need to do right before you start selling online. If those things were done right you will certainly have an added advantage over your competitors. Once your store is up and running and looks continuously ways to retain your clients and customers. Once the user purchases an item from your site you will have their email and phone number. You can add their email to newsletters. Newsletters are the hidden weapons for eCommerce. You can send new product information , latest happening in the industry to engage your existing customers. Sending a reminder to write review or submit a pictures after purchasing is also an effective way to engage with customers. Big Stalwarts like Amazon and eBay also do this. This is the most often overlooked aspect of eCommerce. You need to track your website traffic and conversion. One of the most popular ways is the setup Google analytics or Piwik Analytics. It requires inserting a code into your website and it will provide you detailed analytics of your eCommerce Store. You need to configure eCommerce tracking but it is very easy and Google provide you great tutorials for this. Being a store owner you need to analyze the source of traffic, bounce rate, conversion rate, social media performance etc. Setting up data analytics will help you to market your website in a much better way. SEO can drive you lots of quality traffic for free. SEO is a way to make your website easy for both users and search engine . Doing SEO for eCommerce is little tricky in comparison to the simple website. Product description, categories, uniform structure of URLs, meta tags and many more things need to be taken into consideration. If you are new to SEO check out this Beginners Guide to SEO at Moz. Shoppers generally want to buy and be finished. Don’t ask for too much information beforehand. Having too many steps at checkout can lose the attention of the user. The ideal checkout process should include a single page for the user to check the final order & enter their billing information. Display the confirmation page before they hit submit button. Anything more than that is only a barrier to complete the checkout process. Social media can make or break your online business. It needs to be handled with care. Running an online store, you need to have a social media presence. Through Facebook, Twitter, Pinterest many people will find out about your online store for the first time. Social media website can help you build a loyal customer base and build a strong & trusted brand. You need to figure out which social networks works for you the best. You can even opt for paid advertising if you see you are getting good sales from any one network. From when a visitor lands on your website to complete the checkout process, focus on delivering a “WOW” experience to customers. From Slow Page load time to enhancing User Interface (UI) and User Experience (UX) can enhance customer experience. When you are dealing with eCommerce you need to be extra careful with security. You will be dealing with quite a sensitive information like credit card numbers, personal details, address etc. So you need to make sure all this information are kept secure. Many eCommerce platforms already include security essentials but you still need to double check all technical aspect with your developer before you start selling. You should also keep an eye on regular updates that are coming on eCommerce software. You have put a lot of effort in building an eCommerce store . don’t let these silly mistakes to stop you from growing. By getting these out of the way in your eCommerce store, you will be better prepared to create a store that runs well and easily scalable. Any facts, figures or references stated here are made by the author & don't reflect the endorsement of iU at all times unless otherwise drafted by official staff at iU. This article was first published here on 14th October 2016. Gaurav Kanabar is a contributing writer at Inspiration Unlimited eMagazine.